PAKISTAN PHARMACIST FEDERATION | We are a country wide respected voice of the innovative pharmacist, powerful and respected strength for positive change; representing the experts working with Government, academics, industrial and other discipline to develop a progressive, receptive and professional environment in Pakistan. As the mechanism chosen; we ensure that the pharmacist remains a leader in creating, valuing and accessing the innovations. We are a country wide respected voice of the innovative pharmacist, powerful and respected strength for positive change; representing the experts working with Government, academics, industrial and other discipline to develop a progressive, receptive and professional environment in Pakistan. As the mechanism chosen; we ensure that the pharmacist remains a leader in creating, valuing and accessing the innovations. Respected patron has qualified his B. Pharmacy in 1956 from Punjab University, Lahore, Pakistan. He has established the Pakistan Pharmacist Association in 1952 and was elected as pioneer Secretary General of PPA Pakistan for the session of 1952-53. Moreover; he was president of PPA Sindh during the session of 1980-82. Professionally he used to work at different executive positions with Frerozsons Laboratories, Cinamide Lederle Pvt. Ltd., Merck Shop & Dom Pvt. Ltd. and Platimum Pharma. He have international exposure of pharmaceutical manufacturing; Boots Lab. Pvt. Ltd., Nottingham, UK and different French pharmaceutical companies. Respected patron is now residing at West ridge, Rawalpindi and spending a peace retired life. 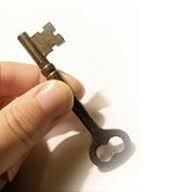 Dr. Nazir Nazir has more than fifteen year’s professional, academic and research experience. His expertise are related to the discipline of pharmacology, epidemiology, therapeutics and clinical pharmacy along with exceptional knowledge of biological techniques. He has teaching experience to Pharm D and M.Phil students at certain universities. He has worked at different positions; Associate Dean, Associate Professor, scientific executive and scientific head with different renowned institutions of the world. He has strong ability to quickly absorb and implement new pedagogical techniques. His other professional expertise includes; academic teaching, pharmaceutical manufacturing, marketing and product development. His laboratory and research expertise include pharmacological, microbiological, pharmaceutical and biotechnology laboratory techniques. Dr. Taha Nazir was awarded Ph.D in Microbiology by the Quid -I-Azam University, Islamabad, Pakistan. He was awarded the degrees of M. Phil (Pharmacology) by Agriculture University Faisalabad and Bachelor of Pharmacy from University of the Punjab, Lahore. He has several research articles published in prestigious international pharmaceutical journals and wrote three books published by leading Pakistani publishers titled Applied Pharmacotherapy (2008); Clinical and Pharmaceutical Management of Diseases (2009); and Manual of Experimental Work of Pharmacology & Therapeutics, (2007). Moreover; he is part of different pharmaceutical professional organisations and prestigious research journals. Currently, Dr. Taha Nazir is working as Assistant Professor with Faculty of Pharmacy, University of Sargodha. He is also entrepreneur the Drug Discovery & Technology Development Inc. 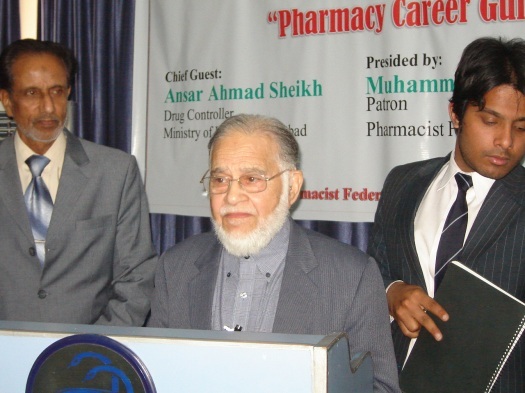 The Pharmacist Federation of Pakistan exists since 1989 with the name of “Pharmacist Forum”. Which was then converted into the “Pharmacist Federation of Pakistan” in 2009 and we have pooled our resources into presenting a unified front to the community on issues affecting pharmacy profession. Since that day, Federation has established a proud history of pharmacists working together to create an association for the betterment of profession. We encompass the entire breath of pharmaceutical sciences which also reflected in the range of our activities. We have broadened our horizon by extending the membership criteria; accepting the graduating pharmacists as “student members” and non-pharmacists as “affiliated and/ honorary members”. We also believe that being part of community we have to encourage the scholar, foster the issues and deliver the mission more effectively. As the role of the pharmacist has evolved and grown over the past 300 years, that need to unify stance on causes and raise the pharmacist’s profile. Therefore; we have designed our professional goals (http://www.pharmacistfed.pk/master/Goals.aspx) and focused the struggle to implement drug rules, enforce internationally recognized clinical system, update pharmaceutical services and publish trusted therapeutic informations. You can learn more about who we are? how can you get membership? and all about pharmacy in Pakistan by browsing the links www.pharmafed.com and www.pharmareview.wordpress.com. Pharmacist Federation of Pakistan is a powerful and respected voice for positive changes. It is a country wide respected assemblage of the innovative pharmacists. We assure the pharmacist as leader in creation, development and recognition. We provide a receptive environment to promote services, values and norms for mutual good understanding of community and patients. Furthermore; we support the pharmacists for professional advancement and skills enhancement. Through our activities, we provide tools, informations and guidance for quality health system. We also encourage the collaboration of profession with actual practice, intellectual activities and quality publications. 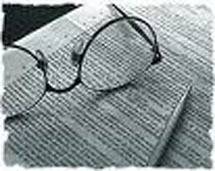 We update our members through our prestigious profession journal “Pharmaceutical Review” (www.pharmareview.wordpress.com). Drugs Sale License: Implementation of the Drug Rules to assure the issuance of drugs sale license to qualified pharmacist only. That is a standard accepted criteria honored everywhere in the world. Service Structure: Designing Pharmaceutical service structure for pharmacists working in Public and private sector. It will help to the establish the promotion rules, job descriptions, and duties in miscellaneous positions of this profession. Independent Directorate of Pharmacy Profession: Establishment of independent directorate of pharmacy profession. That will assure the independent working of experts without any political persuasion, bureaucratic influence and stress of other medical professionals. Clinical Pharmaceutical Setup: Appointment of Pharmacist in each department of Hospital. Creating new positions at grass root level e.g. rural health centers, basic health units, maternity health centers etc. Job Security: Confirmation of the employment of pharmacists working on temporary or contract basis in all over the Pakistan. They must also be secured from any professional risk factor. Initial Wage of Pharmacy Graduates: The minimum starting wage of newly appointed pharmacist must be equivalent to the pay scale of 17th grade officer of government of Pakistan. Establishing the District Level Structure: The professional bodies will be encouraged to establish district level structure all over the Pakistan. The local issues will be resolved by respective professionals otherwise provincial and federal command is supposed to help them. Advertisement of the Vacant and Announces Posts: Advertisement of the vacant/ announced posts and creation new posts in pharmaceutical setup. Appointment of Hospital Pharmacists/ Drugs Inspector in KPK: Government has not yet appointed Tehsil wise Hospital Pharmacists/ Drugs Inspectors in Khaiber Pukhtoon Khah and Baluchistan. We enforce authorities to advertise and appoint the pharmacists at respective positions soon as possible. New Recruitments and Appointments: Recruitment and appointment of pharmacists in trauma centre, TB centers operation theatres, TPN (Total Parenteral Nutrition),drug information centers and Aseptic dispensing to assure the rational utilization of life saving drugs. Pharmacist as Focal Person: Appointment of pharmacist as focal person in therapeutical committees, drug purchase committees and clinical pharmaceutical services departments to play as life saving professional. Pharmacist in Forensic Committee: Advertisement and appointment of pharmacist in forensic committee of federal and provincial governments. Pharmacists in National and International Programs: Appointment of pharmacists in national and international programs i.e. DOTS, National Malaria control program, UNICIEF, World Health Organization, National TB Program etc. Quality Pharmacy Education: Assuring and maintaining the quality pharmacy education through strict control on over the teaching institutions via pharmacy council of Pakistan, teachers training programs, research grants. Practice Oriented Training/Education: Collaboration of pharmacy institutions with the hospitals, industries, laboratories and research centers to improve the scientific and profession vision of students. Trainings programs: Organizing the trainings programs, seminars and conferences all over Pakistan to update the knowledge of Pharmacists. Welfare Activities: Participation in the natural disasters i.e. earth quack, flood, massive outbreaks of infectious diseases, IDPs etc with in 24 hour of the emergencies to help the victims. Industrial Pharmacist: Appointment of pharmacist at least in each section of the industry to make sure the quality production. Similar the pharmacists should be appointed in each section of quality assurance department. Pharmacists in Armed Forces: Appointments of pharmacists in armed forces, naval hospitals, combine military hospitals (CMH’s) in uniform. Pharmacists in Autonomous Institutions: Appointment of qualified pharmacists in autonomous institutions i.e. Railways, WAPDA, PTV, PIA etc on permanent and regular basis with all benefits. Professional Collaborations: Collaborating with other international pharmaceutical organizations i.e. Canadian Pharmacist Association, The Association of the British Pharmaceutical Industry (ABPI), The Royal Pharmaceutical Society of Great Britain (RPSGB), Common Wealth Pharmacist Association (CPA), and Federation of Asian Pharmacists Association (FAPA).